Copyright law the world over states that you own your creations from the moment of recording them. For bands, this means the moment you record your songs or individual performances. The internet is becoming the channel for promotion & distribution of music, but it also encourages piracy and copying by other musicians. It is critical to protect your music before publishing it online. Until now there has been no easy way to do this. 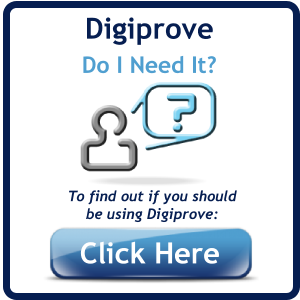 Digiprove creates the necessary proof easily and cost-effectively. Log into Digiprove, and simply select the file(s) containing the tracks(s) you want to protect. We will immediately email you a digitally-signed Digiprove content certificate which can be used to prove your possession of the recording(s) at the date and time you Digiproved it/them. Unlike other services, file upload is not required. 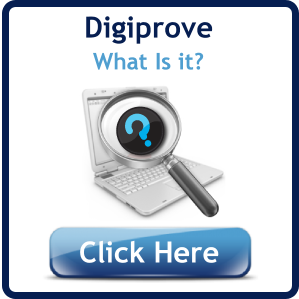 This preserves confidentiality, and means that the Digiprove process is very quick. Once you have created valuable content, you want to be free to promote it without having to trust every person who might have access to it as an email attachment, on a web-site or on a CD. By Digiproving, you are creating a trail of evidence that protects your music. You can then freely publish your tracks online (to the band's MySpace or Facebook profile, to your official website etc.) and send them to promoters, agencies and others without fear.